﻿Please note that we have reached capacity for 2018 and are not accepting further applications at this time. The 2019 application will be available in the summer. If you run into any issues, contact the Admission Office at admission@yorkschool.com or at 416-646-5275. The Secondary School Admission Test (SSAT) is a common assessment tool used by independent schools. While The York School does not require the SSAT for admission, candidates who take the SSAT are asked to include The York School in the list of schools results are submitted to. Families applying to JK through Grade 1 who have identified The York School as their top choice are encouraged to apply for October or December rounds of admission. 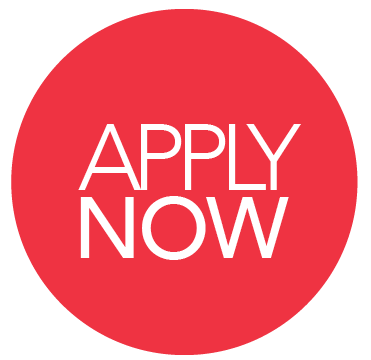 The application deadline for the October Round is September 21, 2018, and the application deadline for the December Round is November 30, 2018. Applying for the October or December Round means that families will both apply earlier than the Common Offer Date Round deadline and will find out earlier whether or not their child(ren) got accepted. Candidates who receive an Offer of Place in the October or December Round will be given five business days to confirm their spot with payment of the non-refundable registration fee ($8,000) and the first tuition instalment ($5,000). October and December Round decisions are binding; families accepting a place at The York School early commit to attending the school. Candidates accepted in October or December cannot decline the offer and request to be considered in the Common Offer Date Round instead. Please refer to the table below for all deadlines. Applying for Early Action means that families will both apply earlier than the Common Offer Date Round deadline and will find out earlier whether or not their child(ren) got accepted. Less than 20% of available spaces will be filled through the Early Action Round. 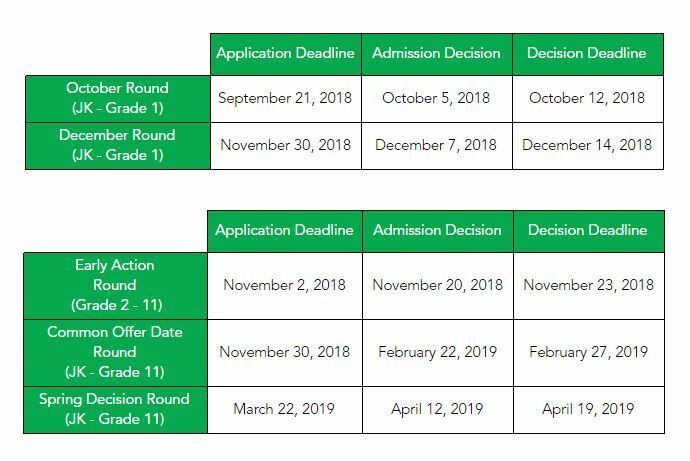 The application deadline for the Early Action Round is November 2, 2018. With the exception of the 2018-19 Progress Report which will not be available yet, all application instructions and required materials are the same as for the Common Offer Date Round. Candidates for Grades 6-11 will be invited to complete the online video admission interview. All candidates will be invited to come for a school visit by November 16, 2018. On ﻿November 20, 2018, candidates who receive an Offer of Place will be given until ﻿November 23, 2018 to confirm their spot with payment of the non-refundable registration fee ($8,000) and the first tuition instalment ($5,000). Early Action Round decisions are binding; families accepting a place at The York School in the Early Action Round commit to attending the school. Candidates who are accepted during the Early Action Round cannot decline the offer and request to be considered in the Common Offer Date Round instead. Candidates who meet all admission requirements, but cannot be offered a place on November 20 will be placed in an Accepted Waitpool and will be considered in the Common Offer Date Round. Candidates placed in the Accepted Waitpool are encouraged to apply to other schools. Admission decisions will be released via email and will also be published on the candidate’s 'Decision' tab on YorkNet. What about entrance scholarships or financial aid for Early Action Round candidates? All candidates applying to Grade 6 to 11 are automatically considered for merit-based entrance scholarships of up to $20,000. Candidates will be informed of any scholarships being awarded at the time of acceptance. The York School does award some bursaries based on need. Families must submit an application to Apple Financial Services at the same time as The York School application and request that the report be sent to The York School for review.